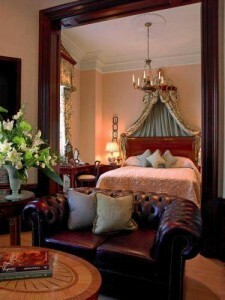 The Lanesborough, situated in Central London, features traditional accommodation and superior services and facilities. Guests of The Lanesborough can relax with a rejuvenating treatment or massage at the spa centre. Staff are available 24/7 and can book tours and tickets. In addition, the multilingual staff will be glad to provide local knowledge, ensuring a pleasant stay in London. The hotel has 494 traditional rooms that are filled with a range of essential amenities to ensure guests have a comfortable stay. A satisfying breakfast is prepared every morning at the hotel, and there are numerous restaurants and cafés nearby that travellers can try for lunch or dinner. A relaxing beverage can be enjoyed in the bar. Tourist attractions near The Lanesborough include Buckingham Palace, Piccadilly and Harrods. The hotel is also moments from the area’s popular nightlife destinations, and the Victoria Palace Theatre and Grosvenor Square are a 20-minute stroll away.